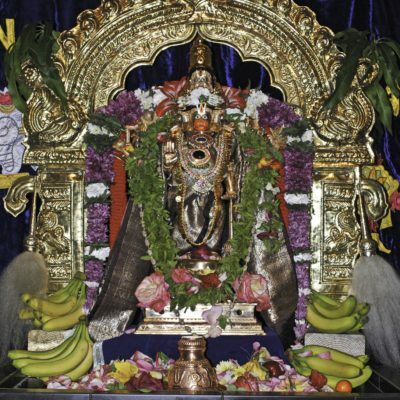 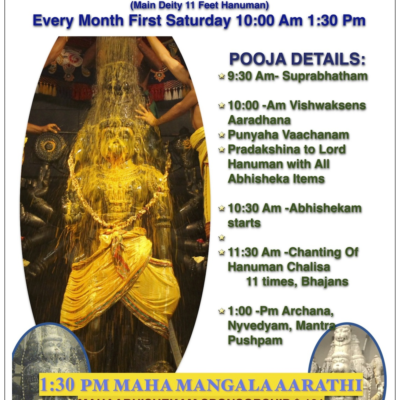 Ganapathi pooja At 6:30 pm Punyaha Vaachanam Panchamritha abhishekam( we chant Namakam,chamakam,durga suktham and purusha suktham) Nyvedyam Mantra pushpam at 8:00 pm Aarathi Please join us every Monday for Rudra abhishekam at temple. 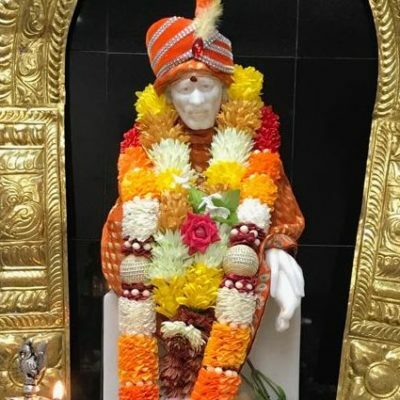 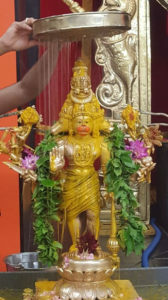 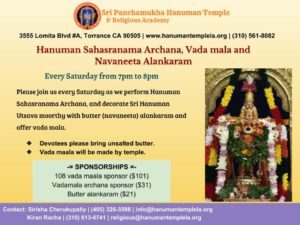 Kala Arpana is an opportunity provided to all local talented Indian classical music, bhajan and dance teachers, performers and students to showcase their talent in the form of Seva to Lord Hanuman. 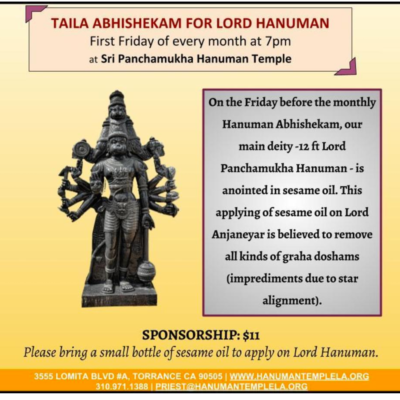 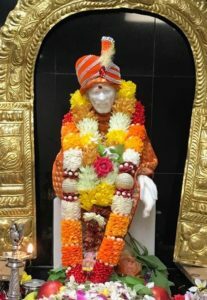 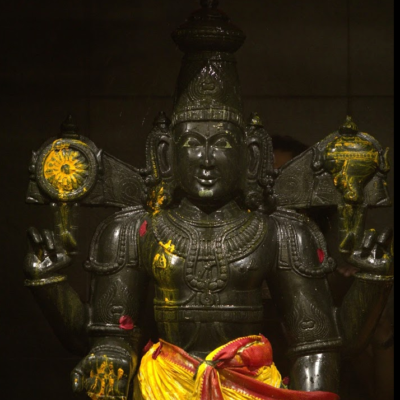 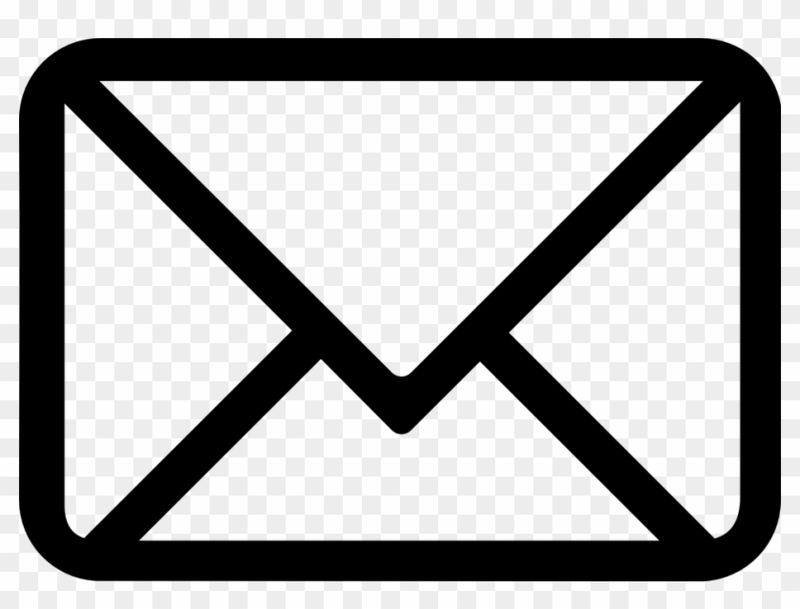 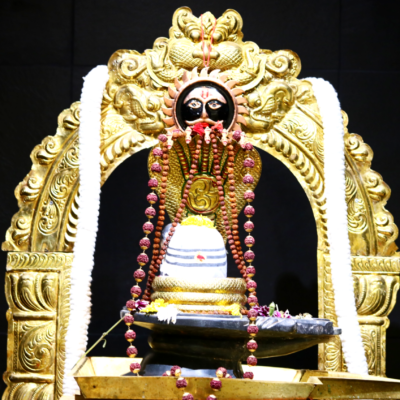 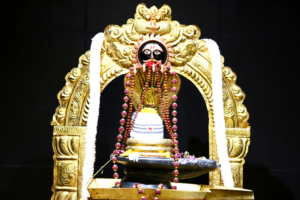 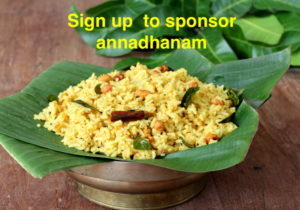 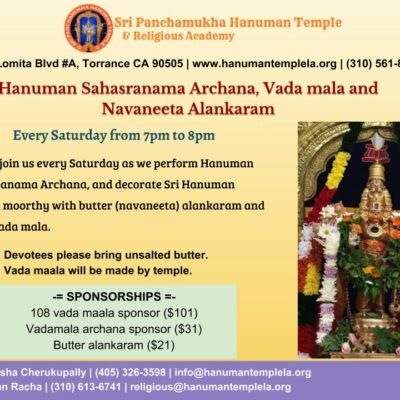 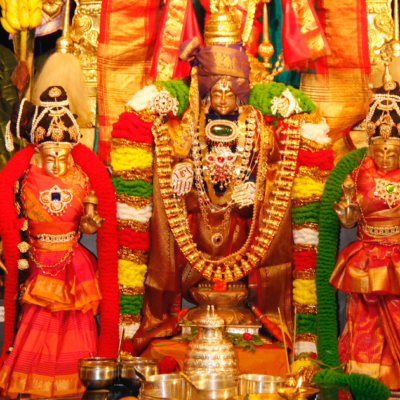 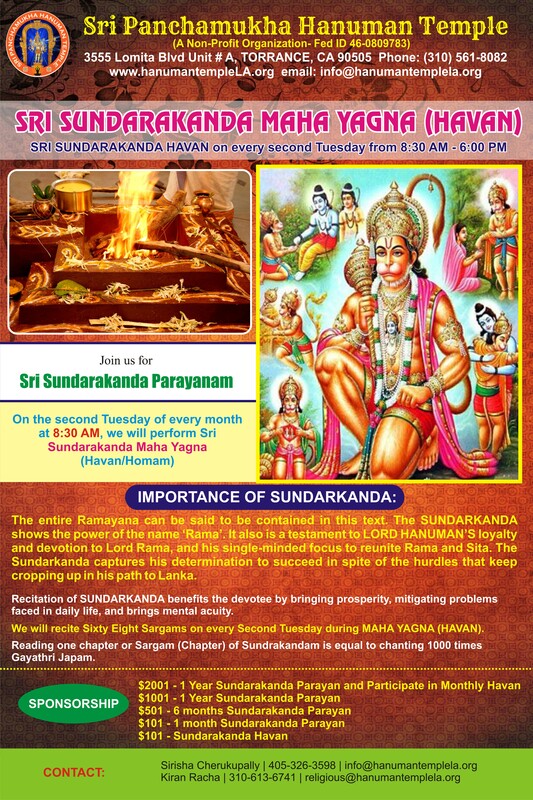 on the second Saturday from 8:00 – 8:30 pm, following Kalyana Utsavam.